[22 Oct 2018] The most popular pick-up point for express bus from Kuala Lumpur to Ipoh is at the Terminal Bersepadu Selatan(TBS) and the drop-off point is at Ipoh's Terminal Bas Amanjaya. There are scheduled bus services from KL to Ipoh between 6.45am to past mid-night at about 30 minutes interval. The other pick-up points in and around Kuala Lumpur include Hentian Duta, Kajang, Klang Sentral, Puchong Tesco, Putrajaya Sentral and Terminal Shah Alam. As for drop-off, besides Amanjaya Bus Terminal, you can also stop at Jalan Bendahara when you take the Sri Maju express bus. 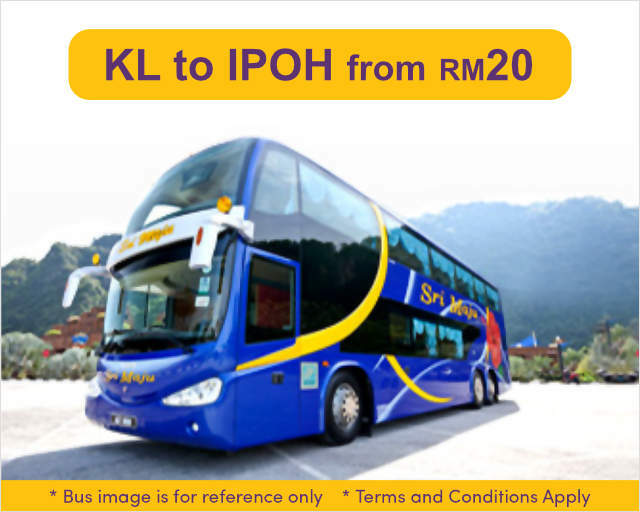 Bus ticket from Kuala Lumpur to Ipoh starts from RM20 which is nearly half the price of the ETS Train ticket, RM36. 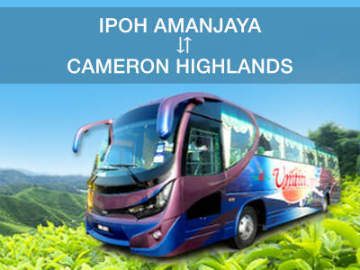 To book your Kuala Lumpur to Ipoh bus ticket online, click Easybook.com. Sri Maju was founded in 1978 and is a trusted brand with one of the safest track records. It currently serves more than 500 routes daily departures across west coast of Peninsular Malaysia and Singapore. Popular destinations include Kuala Lumpur, Genting Highlands, Johor, Kedah, Malacca, Negeri Sembilan, Penang, Perak and also Hatyai in Thailand.